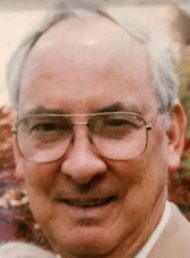 A graduate of J.P. McCaskey High School, Class of 1952, Ed went on to proudly serve his country in the Korean War as a part of the United States Navy as a musician. He returned from his time of service and married his wife and they grew their life together. Ed attended Lancaster Business School and took classes to help further his career as a reliability engineer. In 1997, after 22 years of employment, he retired from his role as Director of Quality Assurance and Reliability at Bulova Technologies. Ed was blessed with a son, Edward G. Hoehn II, and a daughter, Cynthia L. Hoehn. He was a dedicated family man and showed his support to his children as they pursued their interests in music and dance, respectively. Ed’s father used to say ‘To live like a Hoehn is to live by the tides,’ and that is a motto Ed took seriously. He loved boating, fishing, and underwater metal detecting. He would often take trips to the Jersey Shore to go fishing on his boat in the back waters of Cape May. Ed also enjoyed camping, driving his motorhome, cross-country skiing, dry land metal detecting, listening to Frank Sinatra, big band music, and opera, and reading to help quench his thirst for knowledge. Edward is survived by his wife of almost 63 years, Sylvia E. Hoehn (formerly of Altoona, PA), his children; Edward G. Hoehn II and wife Jan, of California, and Cynthia L. Hoehn of Lancaster. He is also survived by his grandson, Edward G. Hoehn III and great-grandchildren, Edward G. Hoehn IV and Sophia M. Hoehn, of Texas, and many nieces and nephews. He is preceded in death by his parents, John C.R. and Anna Hoehn, his siblings, John J. Hoehn, Fay R. Williams, and Jacquelyn Hoehn, and his beloved pets. Services will be private and at the convenience of the family. Memorial donations can be sent to Hospice and Community Care at 685 Good Drive, Box 4125, Lancaster, PA 17604. I am deeply saddened by the loss of Ed. He will be truly missed. I will cherish the fond memories of working with him as my mentor, leader, boss and employee. He was the ultimate Quality professional and the best mentor anyone could have. His friendship and guidance will be missed. My thoughts and prayers are with all of you. My name is Beverly. I am one of 4 of Jacquelyn and Elmer Groffs children.I am so sorry for your loss. I don’t remember Edward, but I’m sure he’s at a wonderful reunion in heaven. Peace and love to you all at this sorrow filled time. Cindy, and family I was so sorry to hear of your Dads passing. I know he was sick for quite awhile and now ,he’s resting in peace with or Lord and no more pain. I will keep you and your whole family in my prayers. May God give all of you peace during this sad time. I am very sorry to hear of the loss of your father. I will keep you and your family in my prayers.